Sean Ekins is an expert in the fields of ADME/Tox, computational toxicology and cheminformatics and primarily works on neglected and rare diseases. Sean graduated from the University of Aberdeen; receiving his M.Sc., Ph.D. in Clinical Pharmacology and D.Sc. in Science. He was a postdoctoral fellow at Lilly Research Laboratories. He has worked as a senior scientist at Pfizer, Lilly, Associate Director of Computational Drug Discovery at Concurrent Pharmaceuticals Inc., Vice President of Computational Biology at GeneGo (now Thomson Reuters) and CSO at Collaborative Drug Discovery. He is co-founder and CEO at Phoenix Nest focused on Sanfilippo Syndrome rare disease drug discovery and Founder and CEO at Collaborations Pharmaceuticals, Inc. which is focused on rare and infectious diseases. 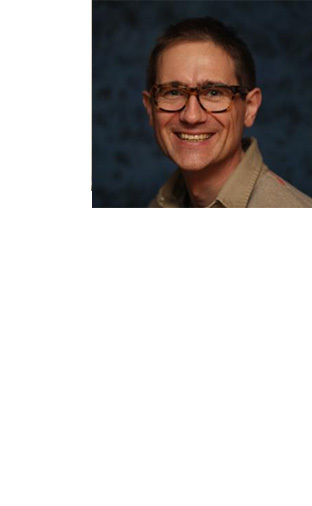 Sean is Adjunct Professor, Division of Chemical Biology and Medicinal Chemistry, UNC Eshelman School of Pharmacy, University of North Carolina at Chapel Hill; Adjunct Associate Professor, School of Pharmacy Department of Pharmaceutical Sciences, University of Maryland and Adjunct Professor in the Department of Pharmacology at Rutgers University– Robert Wood Johnson Medical School, Piscataway, NJ. Sean is on the scientific advisory board for several companies and editorial boards of the Drug Discovery Today and Pharmaceutical Research. He has authored or co-authored >270 peer reviewed papers and book chapters as well as edited five books and a book series on technologies for the pharmaceutical industry for Wiley. Sean also co-developed the mobile apps Green Solvents and TB Mobile and has been awarded multiple NIH grants as PI. While working for Collaborative Drug Discovery, (funded by the Bill and Melinda Gates Foundation) he worked extensively on tuberculosis drug discovery projects and provided analyses of very large libraries of tuberculosis data which highlight important physicochemical properties. He has highlighted gaps in TB research, specifically in how cheminformatics and other computational tools could be integrated to improve efficiency and provided examples of how computational methods can be used to assist in screening for compounds active against TB. In February 2011 he began participating in the MM4TB project as part of Collaborative Drug Discovery led by Professor Stewart Cole and in 2017 organized a special issue of Drug Discovery Today focused on the European funded small molecule TB drug discovery projects.